Laravel is the prime rated PHP framework in the short time of two years, though PHP framework caters the options of various languages like Yii2, Symphony and CakePHP etc. Developers have keen interest to work with Laravel since two years and the interest enhanced with the upcoming of latest features of Laravel 5. Being expressive, accessible, robust, easy migrating and elegant syntax web application framework, Laravel aims to make the development process easy and rapid concerning that no client’s application functionality requirement is sacrificed. With the introduction of Laravel 5 and upper versions, new and advanced features too came into trends. Folder structure in Laravel development has a drastic change in Laravel 5. Here, all the classes are utterly namespaced as Laravel 5 executes PSR-4 autoloading standards. The config, storage, tests and database directories are moved to the root of the project while vendor, public and bootstrap directories are in the same place as in older versions. Changes in the default namespace of the web application, app, can be done by php artisan app: name <your-app-name> command. Authentication being a core part of any web application, it is very time seeking process for any developer to implement it. The previous version of Laravel was helping in organizing authorization logic and controlling access to resources, but Laravel 5 came up with the amazing feature for authentication called – Pre-built validation code. For Laravel development application, this feature minimized the developer’s time to implement the colossal codes for authentication and offered an extensibility to craft anything ranging from mini enterprise applications to huge websites. Generally, the command line is used by Laravel developer to handle the Laravel project, but Laravel 5 provides an inbuilt tool called Artisan. Artisan is used to make a skeleton code and database structure. Also, in Artisan developers can make their own commands through which they can express complicated business logic in a simple format. As Laravel 5 also supports Queue Commands, it let business logic run uncontemporaneously in the background. Contracts can be used in package development to keep the framework loosely coupled. Application’s route registration performance boosts with the help of Route Caching. It is especially for those applications having a large number of routes. Commands php artisan route: cache and php artisan route: clear turn route caching on and off respectively. For file support, Laravel has a local supportive network, for which it uses Flysystem. In Flysystem, the different file support is created on a nearby remote cloud-based framework. The developer can extend the database structure of the application by utilizing Migration System of Databases of Laravel 5. Instead of SQL, Laravel developers can use PHP code to modify the database structure. Laravel Schema Builder can also be used to create database structure. Laravel development uses salted hashed password to secure web application. Blade Components and Slots: An easy way to create templates. Real-Time Facades: Transforms class to facade on-demand. By this, developers can get rid of countless code to convert a class into a facade. Markdown Mail & Notification: While creating HTML emails, developers can utilize predefined markdown templates and other constituents of mail and notifications to give users an easy and rapid path while sending an email. Laravel Dusk: Providers helping method like login AS which help to give instant response to the user. Mainly it is a browser testing tool. Redis Cluster Support: In this, single hosts can be connected to multiple clusters in the same application. Laravel development is remarkably used, open sourced latest web application framework which crafts the customized web solutions. The application designed in Laravel 5 or higher versions are efficient, quick responsive, robust and easy navigating. 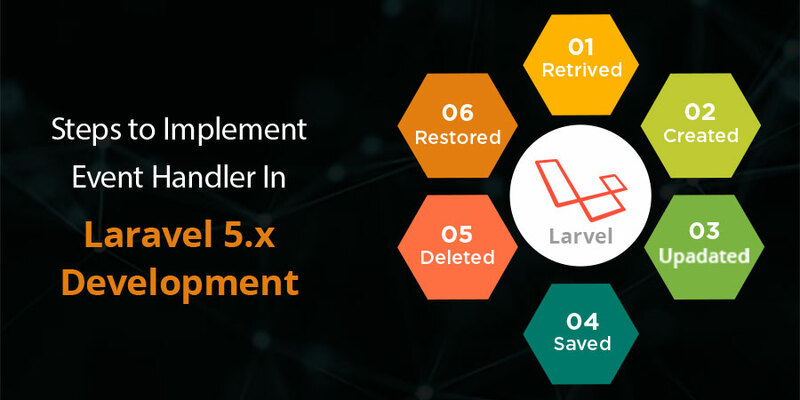 In a nutshell, Laravel 5 and its higher versions came up with the amazing features which ease the developer’s code task and helps the client to get best user experience through Laravel based responsive web solutions.